Florence + the Machine are arguably one of the biggest acts to emerge from these isles in the past 25 years, combining ethereal and poetic art pop with rock, folk and immensely soulful vocals from front woman Florence Welch. 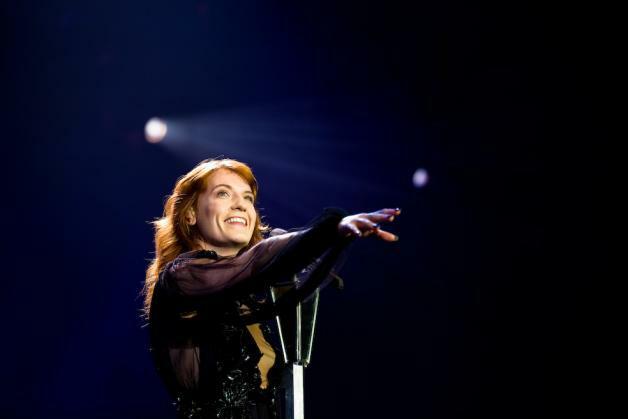 Currently embarking on their UK tour, Clash saw this as the perfect opportunity to put our best stalking skills to the test to uncover some lesser- known tidbits about Florence Welch and the group. 1. Florence Welch is well known for her literary and creative background with her mother being a university lecturer and her father being a former ad executive, as well as being the niece of satirist Craig Brown and granddaughter of Colin Welch, former deputy editor of The Daily Telegraph and parliamentary sketch-writer for Daily Mail. What isn’t as wildly known is that her maternal uncle, actor John Stockwell, played Cougar in Top Gun. 3. Welch loved the popular 1970’s family TV series Little House On The Prairie and often recreated the prairie using bed sheets in her bedroom with her younger sister, Grace. 4. Welch’s nickname as a baby was “Miss Mess”, a moniker her father gave to her after witnessing her eat an entire paper tablecloth at an Italian restaurant. 5. A self proclaimed lover of literature, as evidenced through her poetry book, ‘Useless Magic’ and her fan-created book club ‘Between Two Book’, Welch was once obsessed with reading the Bible forcing her father to read the whole thing to her. This obsession was short lived however, with Welch recalling “I think I got over it quite quickly when I realized how many “begats” there were”. 6. One obsession that has continued for Welch, however, is her love for art, particularly legendary Mexican artist Frida Kahlo. Welch’s admiration for Kahlo is so strong that her bathroom is dedicated to her, complete with numerous portraits of the artist. 7. Whilst Florence Welch has since gone off reading the Bible from cover to cover, religion surprisingly plays a pivotal role in the success of Florence + the Machine, with their debut album ‘Lungs’ being partially recorded in a disused synagogue. 8. Given her fiery vocals and thoughtful and expansive songwriting, it’s no surprise that Welch has earned herself a legion of fans and has earned praise from her contemporaries. One notable testimony was from jazz superstar Kamasi Washington, who called Welch “a kindred spirit” and even likened her to Kendrick Lamar. 9. If praise from Kamasi Washington wasn’t enough, former US President Bill Clinton has even revealed himself to be a fan, though this is no surprise given his soulful nature. 10. The comparison to Lamar may seem a little out there, considering their primary music genres being quite different, however, Welch does have a penchant for rap, once stating that one of her favourite songs was ‘Simon Says’ by Pharoahe Monch.